There are two types of parents in this world; those that meticulously track their babies hiccups, hours slept, how much and how often they pooped and ate, etc., and those that track absolutely nothing. 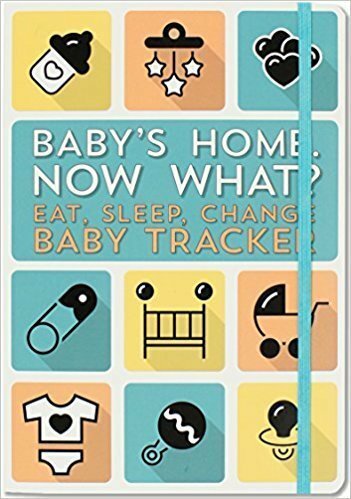 But here we are going to discuss and get you going on some of the best baby trackers on the market for those that like to track everything and commemorate milestones physically (and not just on an app on your phone). With them will come a handy link so that if you like it enough you can go and get one for yourself. Rated as Amazons Choice (which is a good thing) this is an awesome tracker. Separated into day and night, and made for newborns, so that you can track their nursing, feeding, sleeping, diapers etc. 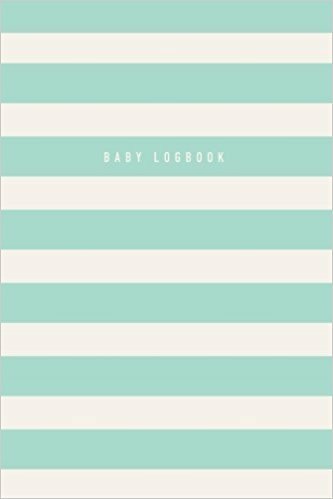 This is perfect for those that have daycare or sharing duties between parents as it makes it easy to just hand the book and the baby over so that everyone is on the same page. In addition to tracking it also has a section that allows for contact information as well as what to do in an emergency. Such a helpful product that will only hit your pockets for about $16. You can find that one here. By the same company that made the one above, this one will be more for your older child/toddler. These are designed for those that “sleep” through the night and no longer has nighttime feedings. 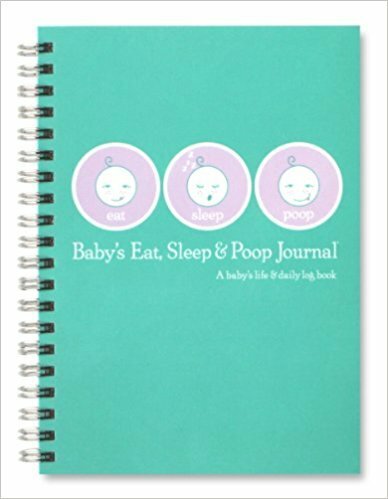 Each page is one day, and can track meals, naps, diapers, play time, milestones, and what you need to get done as well with the baby. Again, makes it easy for handoff to the other parent or just because of mom brain. Again, relatively inexpensive at $18 you can find it here. 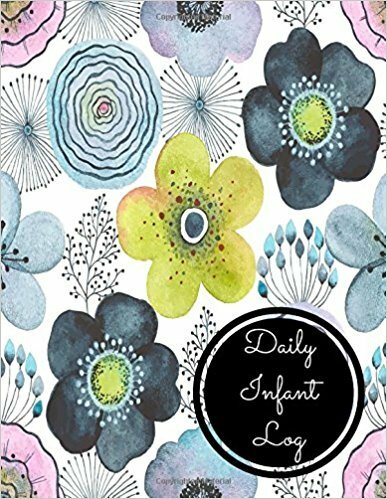 One more for the Amazon Choice products, this is a 50-page book that helps to keep your schedule with your newborn and includes day and night pages. This makes I easy again to get your routine down pat and keep the rest of the family and caregivers on the same page as well. We all know how important that daily schedule is. You can find it here for about $13. Easy and simple for the breastfeeding mom especially (as there are lines that show L/R breast which is ideal). 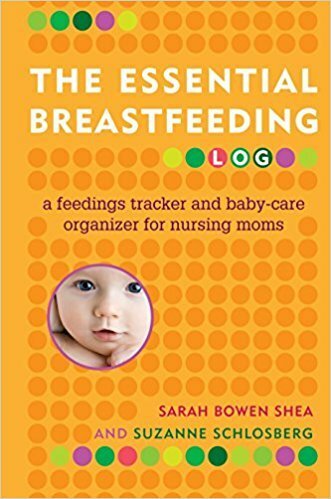 You can mark feedings, sleeping, doctors appointments etc. Also, it’s extremely plain which means even dad won’t mind carrying it around. You can find it for about $8 here. Honestly, the name is what makes this book amazing. It’s a conversation starter (because we all know brunch is all about how little sleep you have not gotten, and this can lighten the mood). 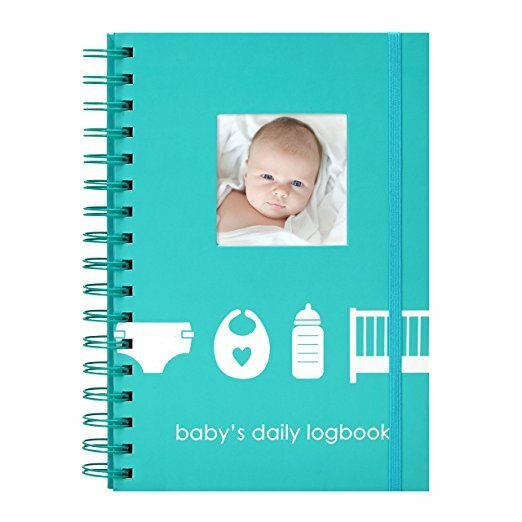 Designed by a mom to record the daily workings of the newborn and ensure their development is on track. If you like funny names, this one is for you and you can find it here for about $12. Also a fun name, I like this one because it literally shows you on the cover that really we have no idea what we are doing. It has pockets inside to save information, cards, whatever the case may be and the best part of it would be the elastic band that keeps the book closed or keeps your page (ingenious). Also allows you to track everything baby like the rest. Priced to be affordable, this book found here will only sent you back about $8. Based on the title this one is geared for the nursing mom, but not just the exclusive breastfeeding, also the ones that combine nursing and pumping, or supplementing this is for you. Plus, and what is amazing for this one si it also includes space for mom time, for your getting healthy, log your weight loss and the babies weight gain (that’s how it works right), and your mental health which is so important during these early months and then you can easily bring something up with your doctor if necessary. This one I would highly recommend and at $15 here I would go for it. Let’s give a shout out to the dads and the minimalists. Those who want something plain without all the design. Black cover keeps it simple. So well keep this review simple. It’s just like the rest. You can pick up that copy here for about $7. For those who want something a bit bigger (you know those of us who need glasses to read), this one might be for you. Doing the same as all the other books in this list, it is the size of a regular sheet of 8.5” x 11” sized paper. You can find that one here for around $6. Because not everyone has only one child. This one is ideal for those of you who have two little ones. 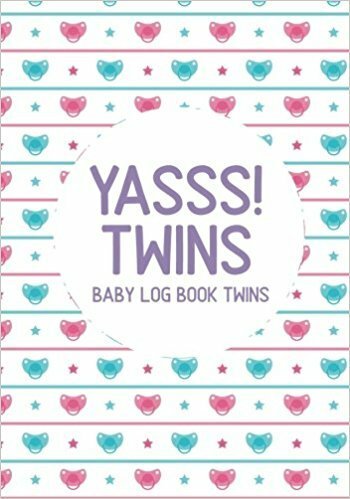 The book offers twice as many pages because well you have twice as many babies. This makes it easier to separate the information between the two and know who ate and who didn’t and keep the information straight. You can find that amazing tracker for about $8 here. Again for the twin mommies, because you have to take part in handling two of them. 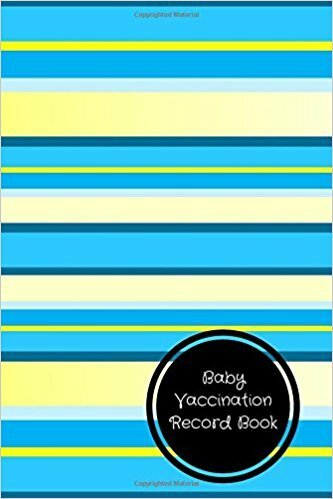 This book is cute and helps you remember, like the rest, what you are doing for the day and especially take the information with you and share with others who are taking care of the babies. Especially when you need some you time. Find it here for around $8. 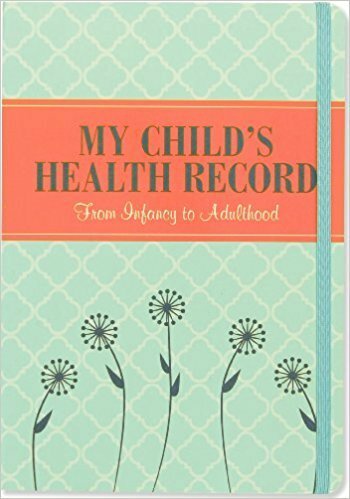 Another Amazon Choice product, this is one for those who are looking to track the memories more than the feedings and diapering (the mundane realities of parenting). 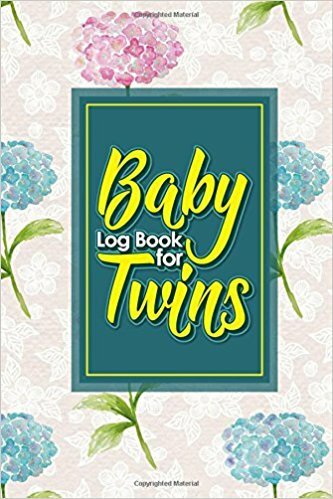 This is more like an already laid out scrapbook that comes with everything you need to journal the story from learning that you were pregnant, the birth story, family tree, doctor visit, baby shower information, milestones and all the firsts that will happen. It’s a beautiful book that will help those that want to remember everything to keep it organized and simple (because you really won’t have time). You can find that book for about $20 here. So this is the mother of all books. 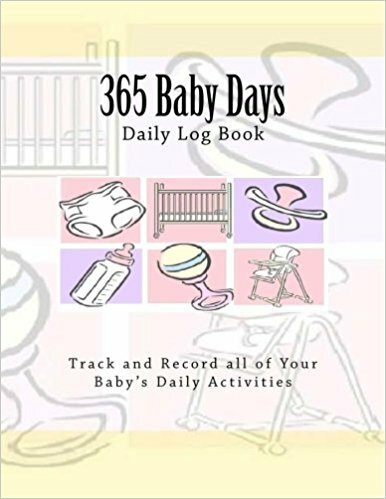 It will track and has the pages for 365 days, the first full year of your child’s life. It includes sections for memorable moments, pictures, a growth chart, and places for medical information as well. 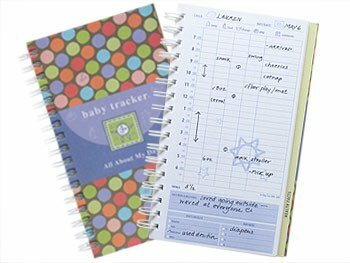 For the more minimalist trackers, this one tracks health records, well visits, shots, measurements, when they were sick, etc., so that you have everything all in one area when it comes to your child’s health. Makes it easy when you are supposed to remember the dentist every six months, the doctor every year or more, and other appointments, at least you can find the information easily. Since this isn’t as in depth, it will run you around $6 here. Another in the class of non-schedule, but somewhat. This is a tracker for their health, their immunizations, medications, doctors visit, symptoms, etc. This is especially handy if you have a child that is routinely sick, you can look at patterns as they emerge. Perfect if you want to keep all medical information available for others who may need it and for reference. You can find that here for around $8. 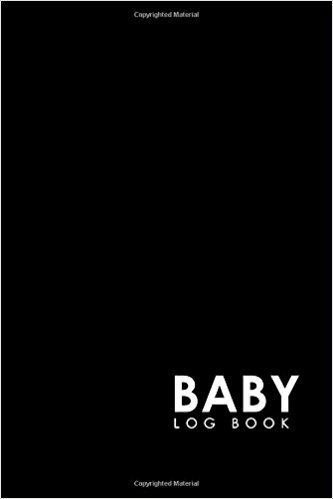 Being a parent is trial and error (I know, don’t judge), because in reality every child is different and there is no amount of baby books that can truly prepare you for having the baby and getting life started. 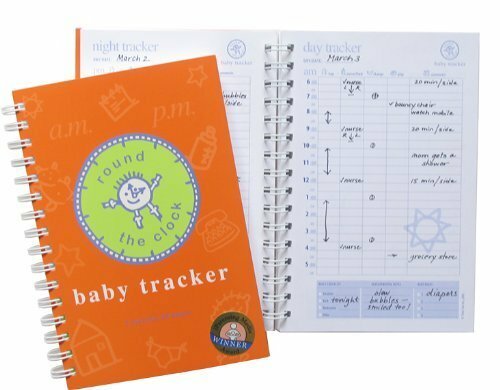 But these trackers might just make it a little bit easier to manage the first few months (or year) of your newborns life. Stella Hawar is a blogger and a mother of an adorable boy who likes to practice yoga, cook and visit the theatre. Currently she's working as a content manager at menstrual-cycle-calculator.com website which helps women understand their menstrual cycle and pregnancy by providing different calculators and resources.